I’m a stand-up comedian, native New Yorker, and a lover. At least two of those things are true. I grew up in Port Chester, NY, always enjoyed performing and have a background in theatre (in the most masculine way possible, I swear). My greatest life achievement is choreographing a dance sequence in my 8th grade performance of “Grease.” It’s usually the first thing I bring up when I meet someone. I like to run around stage and yell into a microphone, which is the dream life for a guy who can’t sit still. If I’m able to make the audience laugh, even better. I would describe my comedic style as high-energy, physical, relatable and raw. 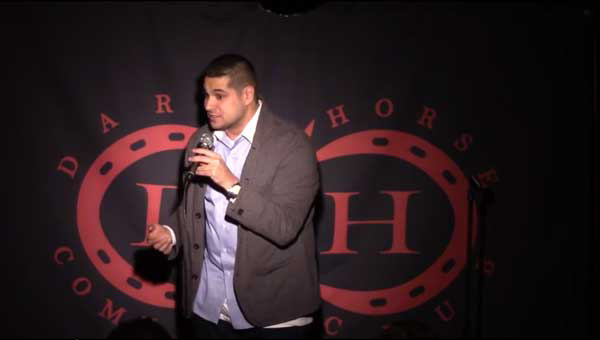 I created Pietrafied Productions to bring the best of comedy shows and charity events to Westchester County, and love to perform in clubs in and around NYC. I live to make people laugh, and love when fans approach me after shows to say they had a great time or to hit on me (though the latter is probably just my imagination).